This Onyx and Bronze Rosary features unique, handmade Our Fathers, created in primitive workshops by skilled Nepalese artisans. This set of Carnelian and golden “jeweler’s “ Brass Our Fathers is 1” diameter x 1/4” thick, and patterned on both sides. Citrine rondelles flank the Our Fathers and add a subtle sparkle. 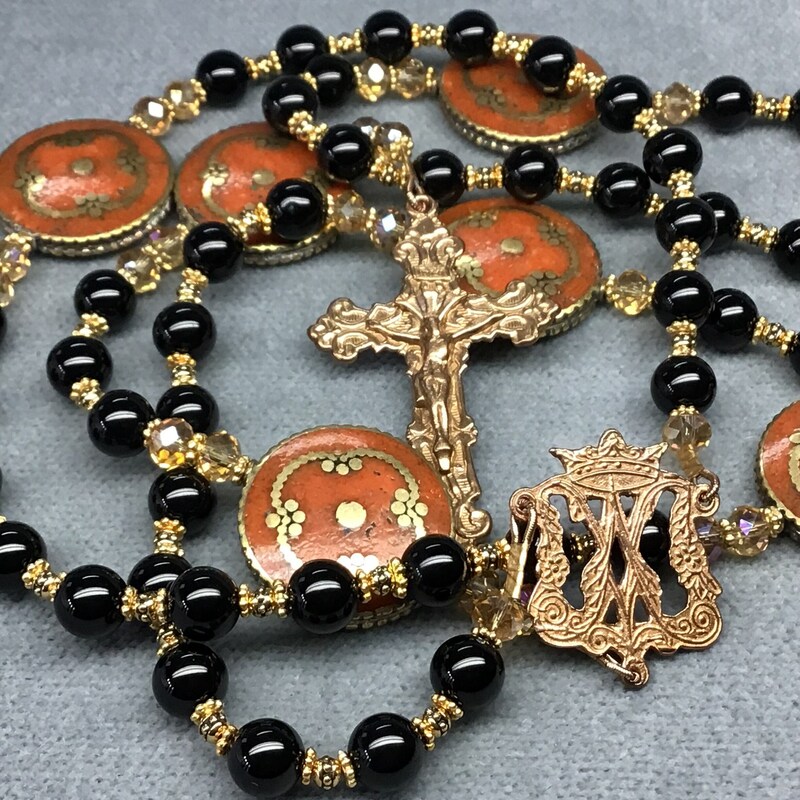 The Crucifix and Ave Maria center have been hand cast from antique originals in solid bronze and burnished to an antique finish. 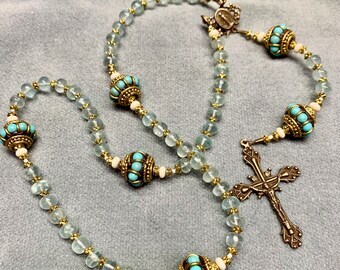 This Rosary is strung on strong 49 strand steel cable and double crimped for durability. It is silky smooth and has a nice heft in the hand. 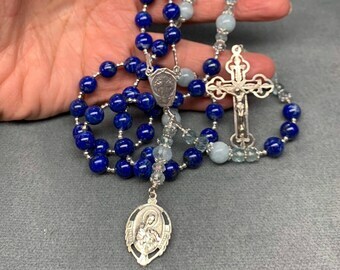 The 8mm Hail Marys are larger than most commercial Rosaries but very pleasant to pray. The larger Our Fathers make it easy to tell when you’re finished with the decade. 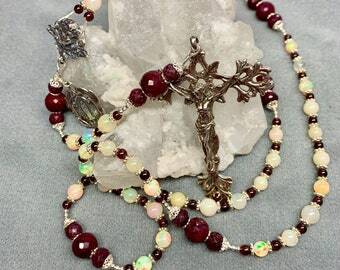 Instructions are included and the Rosary will arrive ready for presentation, boxed in silver and in a lovely beaded organza bag.